Pumped hydro is a cost-effective alternative for energy storage to offset fluctuations in renewable energy supply, and it’s primed to take off in Australia, says one leader in this space. According to the Clean Energy Council, the peak body for Australia’s clean energy industry, more than 35,000 GWh of renewable energy was generated in Australia last year, representing just under 15 per cent of the nation’s electricity generation. Tasmania leads the way with close to 100 per cent of its energy renewable, mostly derived from its extensive hydro-electric system. Second is South Australia with 41.3 per cent of its energy coming from renewables and this is primarily wind and solar photovoltaics (PV). South Australia’s increasing reliance on wind and solar, both of which have fluctuations in supply, means the state is having to consider storage to smooth out these fluctuations. In August this year, AGL Energy announced the launch of what it described as the world’s largest virtual power plant (VPP), ultimately involving 1000 connected batteries installed in homes and businesses in South Australia, providing 5 MW of peaking capacity. However, a Canberra academic suggests there is a better storage alternative – pumped hydro – where the technology is well established and understood, and the costs are a fraction of batteries. 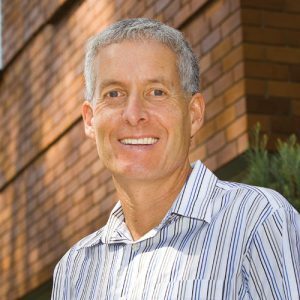 Professor Andrew Blakers is the foundation director of the Centre for Sustainable Energy Systems at the Australian National University. He said pumped hydro is a storage technology that has been around for a hundred years or so. “Everyone understands hydroelectricity generation, which is water going down a pipe from an upper reservoir to a lower reservoir through a turbine creating electricity,” said Blakers. Blakers said to be cost competitive, the system should have modern high-quality turbines 10 MW in size or greater, and the head between the upper reservoir and the lower one should be at least 100 m and preferably 400-900 m.
There are existing systems in Australia, such as the Wivenhoe Dam in Queensland, and the Shoalhaven and Tumut 3 Dams in NSW. However, he says these aren’t currently being used for renewable energy but for load shifting. They are not as big as they ideally should be and they are what he calls ‘on-river’ which he considers not as ideal as ‘off-river’ systems. “In a river-based pumped hydro system such as the Tumut-3 Power Station, water flows along the Tumut river into a series of reservoirs and is released through a series of power stations until eventually the water flows on into the Murray River,” he said. “The upper reservoir is necessarily within the river valley, the same river valley as the lower reservoir. This means the head cannot be large. He said with off-river pumped hydro, you can access much larger heads because the upper reservoir can be built on top of a hill and the head can easily be 500 m or more. There is an off-river system currently being built in Queensland on the site of the old Kidston gold mine about 270 km west of Townsville. The site has two large adjacent pits which will act as the upper and lower reservoirs for the project. The initial phase of the project will have a bank of solar photovoltaic cells with a capacity of 50 MW with the potential to power more than 20,000 homes. Combined with the pumped hydro storage, the system will be like a power station, capable of providing electricity to suit the demand at any time of day or night. If the first phase is successful, the second phase of the project will triple the capacity. Blakers said the head on the Kidston project is above 200 m, bigger than Tumut, and could be increased further with a turkey nest dam. “The reason why the head is important is that if you double the head for the same size of reservoir, then you double the energy and double the power,” he said. He feels former mines like Kidston have a lot of potential for pumped hydro because there is already reasonable infrastructure connected to the mine site such as roads, power supplies and, of course dams. “Some of them have quite spectacular heads,” Blakers said. However, he says we don’t need to wait for mining activities to cease, as there are so many hills in around Australia with excellent heads. 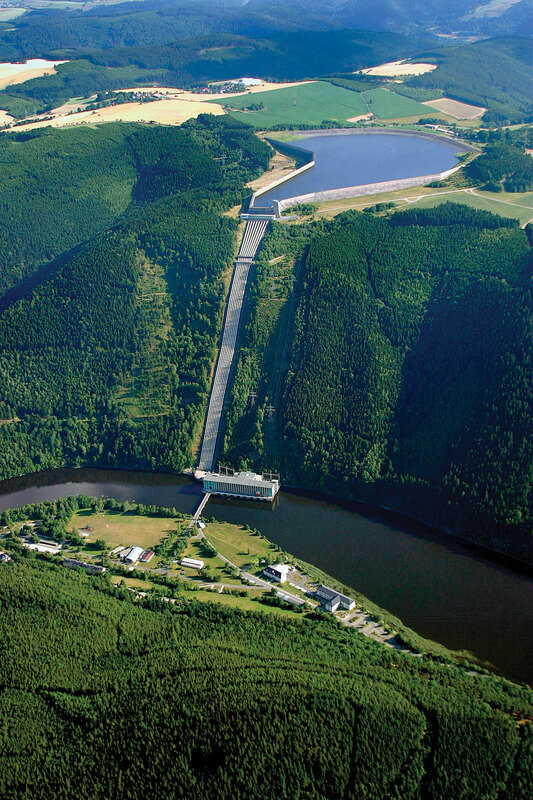 Germany’s Hohenwarte pumped hydro system has a head over 300 m.
He is less enthusiastic about coastal systems using the ocean as the lower reservoir for a couple of reasons. “First, you have salt water instead of fresh water which means you use more expensive materials,” he said. He said one reason that people think that seawater would be good is because it is so plentiful. However, the amount of water needed to operate a 1000 MW off-river pumped hydro system is not as great as you might think. “You need an initial amount of water to charge the system and then you need a small amount of annual top up which is the difference between evaporation minus rainfall,” he said. According to Blakers, solar photovoltaics and wind turbines are now both fully competitive with new-build coal and gas power stations. “The cost of wind and PV is now in the $70-$90 per megawatt hour range,” he said. He feels that the take-up of wind and solar is likely to accelerate as the cost declines and Australia could realistically reach 100 per cent renewable electricity by 2030. “The current annual deployment rate of PV and wind is about a gigawatt per year each and that would need to continue up to 2020 at least to meet the current renewable energy target,” Blakers said. Blakers says pumped hydro is around a quarter or fifth the cost of batteries and this cost advantage will likely see it adopted widely. “Pumped hydro comprises 98-99 per cent of all energy storage around the world, simply because it is so cheap compared with everything else,” he said. He expects early renewable/pumped hydro systems would be smaller, like Kidston, in the 10 to 100 MW sizes. “The risk is obviously much smaller if you build five 100 megawatt systems one after another rather than try to start up and build a 500-megawatt system in one go,” he says. He believes it is not difficult to find hundreds of potential sites with heads in the 400-900 m range that are outside national parks, and river valleys.